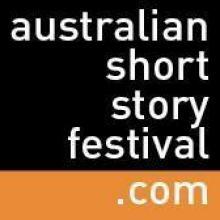 Australian Short Story Festival starts tomorrow! This year’s Australian Short Story Festival is being held here in Adelaide, and it’s a great pleasure to be participating in the program (which you can access in full here). The festival starts tomorrow and runs through the weekend; you can catch me chatting about speculative fiction with Sean Williams and Helen Dinmore on Saturday morning, and on Sunday afternoon I’ll be discussing the stranger things short fiction can do with Simone Corletto and Caroline Reid. Tags: adelaide, anna solding, australian short story festival, caroline reid, chatting, helen dinmore, midnight sun, sean williams, short fiction, simone corletto, writers festival, writing. Bookmark the permalink. Previous post ← Aurealis Awards 2016: In which ‘A Right Pretty Mate’ is nominated!